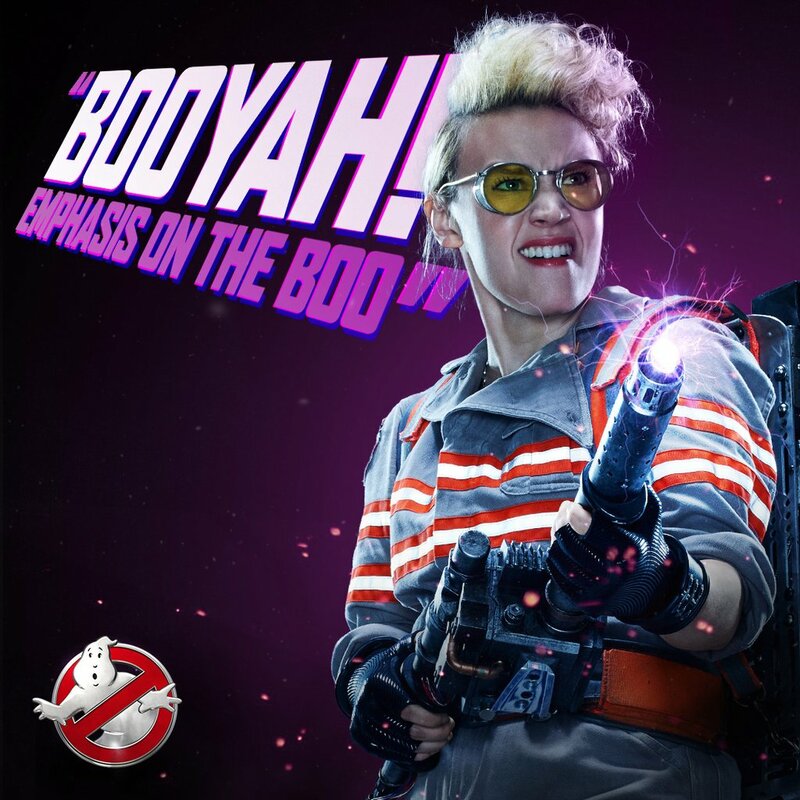 OpinionatedDavid: You Don’t Care What I Think About Ghostbusters. So, I finally got round to seeing Ghostbusters, the comedy remake made infamous by the gender flipping of its main cast. Is it as bad as I feared? Is it as good as I hoped? Will your pick for the movies this week be influenced whatsoever by my answer? Well if it would be, then tough, because I’m not telling you. I don’t feel able to give you my honest opinion of the end product of this debacle. I don’t feel secure in doing so. Why? Well it’s partly because this is one angry mob I really don’t want to have crawling all over my Twitter feed, but also because the environment this project has existed in all the way up to its release has been so toxic (That word is fast becoming overused but by God does it apply here) that I can’t trust any objectivity I had to begin with hasn’t been tainted by all the rage and counter-rage. Did the parts I liked only score highly with me because my expectations have been set so low? Did the parts that disappointed me fall short only because this film is supposed to now ‘decide’ a battle in war it doesn’t actually seem to have much stake in? The question of objectivity in artistic critique is a tricky and hotly debated one in its own right, and I’m more or less in the camp of believing true objectivity in such a subjective space is impossible, and one does not need to be one hundred per cent ‘objective’ in order to be ‘honest’ and ‘fair’. With that in mind, when I’m telling you that I don’t feel comfortable giving my honest opinion about a piece of art because I believe my ability to give it a fair hearing was handicapped before I even took my seat, then you know that something has gone very badly wrong. However long it might take before the dust settles enough for critics to honestly take this movie apart and see if it measures up (months, years, if ever at all), I can tell you that right now the question isn’t really about whether or not the film is good, or how it compares to the original. No, right now the question is about which side the film is on; who it proves ‘right’; who’s bile and whinging it does or doesn’t ‘justify’. People want to know who it will anger, and whether or not their ire should be celebrated. That’s not a debate I wish to partake in, other than to tell everyone involved to go to upstairs, because it is clearly past your bedtime. What the hell is wrong with you people?! Have you listened to yourselves?! First of all, no. 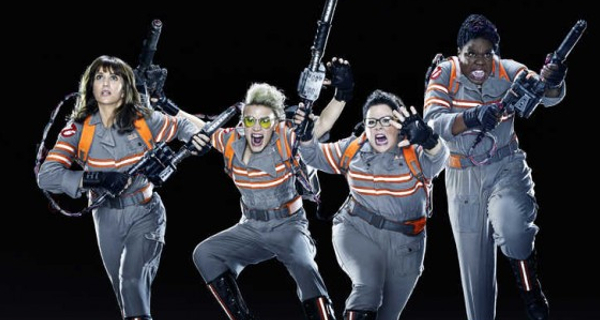 Ghostbusters has not ‘ruined your childhood’. No piece of art is capable of doing that unless you let it; and if you do all you’re saying to the world is that you’ve had an incredibly privileged upbringing and possess a laughably fragile ego. Second, even if this film was some ungodly molestation of your cherished memories, that reached through time and retroactively removed the original film from existence; or if you blame this film for the knowledge that the original cast is never coming back for Ghostbusters 3 (assuming Ghostbusters 2, the death of Harold Ramis and the general passage of time hadn’t already sent that message loud and clear) then guess what? The people who made it still wouldn’t deserve even half of this vile exhibition you’ve displayed. You never owned this brand, the people who made this film despite your protestations don’t care what you think, so pipe down and deal with it you big bunch of babies! As for the other side… stop holding this film up as ‘revolutionary’. It really isn’t, and you look silly doing it. This remake is essentially a Hollywood-budgeted fan film, made by some pretty talented people who are (mostly) already respected in the comedic establishment, who are having a pretty good time playing with all their toys, and who never asked to be made into a political football for people with far too much time on their hands. Whatever else new-Ghostbusters may or may not be, it doesn’t have some fist-pumping declaration to make about toppling the patriarchy. You think we need more and better representation? So do I. You want examples to hold up to the next generation that women can do anything they set their minds to? Great! However, in a world where women lead the IMF, the governments of the UK, Germany, and I hope to God soon the USA, you can do better in that regard than Melissa McCarthy. I am under no obligation to be impartial. I don’t ‘attack both sides’ on principle because I’m terrified of being accused of the dreaded bias, as some are. I am biased, and proudly so. It should be obvious from my tone which side I think has the right of it in the larger ‘Culture War’ (Christ people, how self-important can we get?). That said, I’m nobody’s soldier, and where I think both sides do truly deserve a good dressing down is picking this battlefield in the first place. It’s a movie – one that isn’t taking itself half as seriously as it seems like everyone around it is. Get. Over. Yourselves. Of course, artistic media can (and absolutely should) inform political discussion, and visa-versa. It doesn’t really have a choice. Every creator, and everything they create, exists in our society as part of the zeitgeist, a miasma of cultural influence which incubates all of our ideas, whether we are aware of it or not. Art imitates life, and life takes notes from art. So, pretty much the fastest way to turn me off a discussion concerning a piece of art is to express a desire to keep ‘politics’ out of it. ‘Politics’ is just another way of saying ‘ideas’, and the idea of talking about anything while deliberately avoiding any consideration for the ideas behind it seems bizarre to me. That last paragraph sounds like a complete contradiction, doesn’t it? Well, maybe it is, but if the mud-slinging surrounding this particular film has convinced me of anything, it’s that there is a limit. When you project a very specific argument onto a subject that has little or nothing to do with it, then that’s not an honest discussion of the piece of art itself. That’s you trying to turn the art into a weapon for your own purposes, and in the process you prevent other people from judging it fairly. That’s how we got here. I don’t feel like I can say I (hypothetically) dislike this movie without being patted on the back by people who disgust me, who would make me want to scrub my skin raw if they touched me. Nor would I feel confident hypothetically saying I enjoyed it without feeling like I’m being roped into further battles to gain the ‘high-ground’ of cultural influence. One way or another, I’d really just like to be able to express an opinion about something inconsequential, and then get on with the rest of my day. If I can’t do that, then can everyone else at least have the decency to not pretend they give a damn what I think unless it gives them ammunition? …That was this week’s OpinionatedDavid article!!! Check back at 6pm for a new VuePoint article!! !